2020 Democratic presidential candidate Sen. Kamala Harris (D-CA) arrives to have lunch with Rev. Al Sharpton at Sylvia’s Restaurant in Harlem, February 21, 2019 in New York City. According to Sharpton’s civil rights organization National Action Network, the two discussed criminal justice reform and other critical issues. Harris dined on a dish of chicken and waffles. Five distinguished South Carolina Democrats, including one of its longest-serving black lawmakers, are throwing their support behind the presidential campaign of U.S. Sen. Kamala Harris—providing an early push to the former state attorney general in a critical early-voting state. According to the Associated Press, the list includes a trio of black legislators: State Sen. Darrell Jackson of Hopkins and state Reps. JA Moore of Goose Creek and Pat Henegan of Bennettsville. Berkeley County Democratic Party chairwoman Melissa Watson and former gubernatorial candidate Marguerite Willis round out her early endorsements from the Palmetto State. All five will become co-chairs of Harris’ campaign, and each of them cited her recently announced plan to modernize teacher salaries as a key factor in their decision to back her candidacy over other candidates in the crowded Democratic primary field. Additionally, the diversity in age (their ages range from 34 to 71), geography (the lawmakers represent central and eastern regions), and ethnicity of these supporters demonstrates her ability to appeal to a wide base. The Post and Courier noted how Jackson’s endorsement especially, considering his prominent status as both the state’s longest-serving black senator and senior pastor at Bible Way Church of Atlas Road, could prove invaluable to her campaign and serve as an important role in the upcoming South Carolina elections. Moore’s reasoning for supporting Harris’ campaign is much more personal. 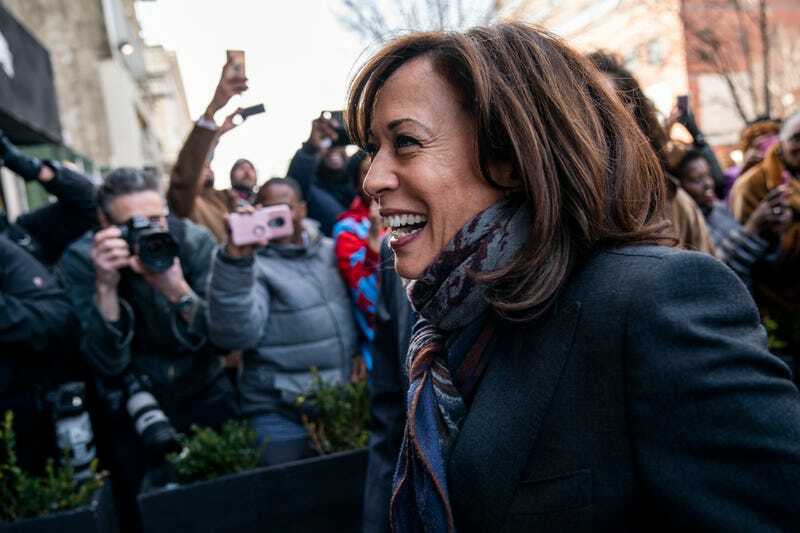 He considers himself an ardent supporter of her progressive policies, but his wife is pregnant with their daughter and hopes that Harris can serve as a role model for young black women. But it’s Moore, a small-business owner who lost his sister in the 2015 Charleston shooting massacre, who kept it short and sweet. “She has a record of standing up to bullies,” he said, denoting her as the candidate best equipped to dethrone Trump.